For over 30 years, Gray's School of Dance has been providing professional dance instruction for recreational and competitive dancers of all ages and skill levels. 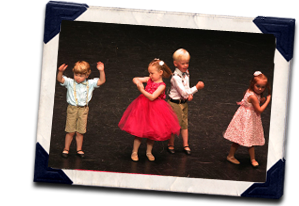 We offers classes in ballet, pointe, tap, jazz, tumbling and hip hop for students age 3 through adult. Our studio encourages dancing as an extracurricular rather than a studio that promotes only professional dancers. Located in Ottawa, Illinois, Grays School of Dance encourages dancing as a fun fitness extracurricular activity, rather than a studio that promotes only professional dancers. Our professional instructors encourage boys and girls to dance in order to accelerate in skills such as coordination, posture, agility, rhythm, eye contact and knowledge of their own body and flexibility. Thank you for choosing Gray's School of Dance! We welcome you to our dance family and promise to do our best to make your child's dance education a truly wonderful learning experience.